One of South Africa’s most enduring entertainers, Alvon Collison, was honoured at the Naledi Theatre Awards in Johannesburg on Tuesday, 19 April, when he received a Lifetime Achievement Award for his contribution to the theatre. The Naledi Theatre Awards, now in its 12th year, honours and applauds theatre excellence in a variety of fields. 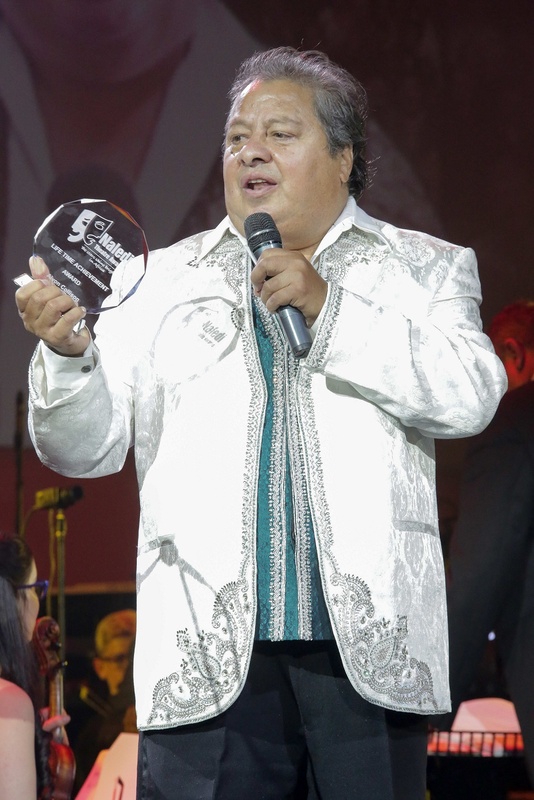 Affectionately known as ‘Mr Showbiz’, Collison, who is based in Cape Town, has received several awards in his illustrious career spanning five decades, having received his first big award in 1975. The ever-flamboyant Collison believes he was given a second chance in life after being rescued from the ill-fated Oceanos, which sank near Coffee Bay on the Wild Coast in August 1991, and he is making the most of it. He has featured in mega musicals such as Jesus Christ Superstar and Evita and in countless performances of his own production, Showtime. He has been a regular on TV, too, including Spotlight on Alvon Collison, Late Night Live, Open End, The Knicky Knacky Knoo Show, Something Old, Something New, Music a la Carte, and Afrikaans programmes like Revue Plus, Noot vir Noot and Lirieke Raai. For more information, visit www.naleditheatreawards.org.za and watch the 2016 promotional video here (https://www.youtube.com/watch?v=XR3-vsl-FPc). Alternatively, you can connect with them on Facebook or on Twitter(https://twitter.com/NalediAwardsSA).